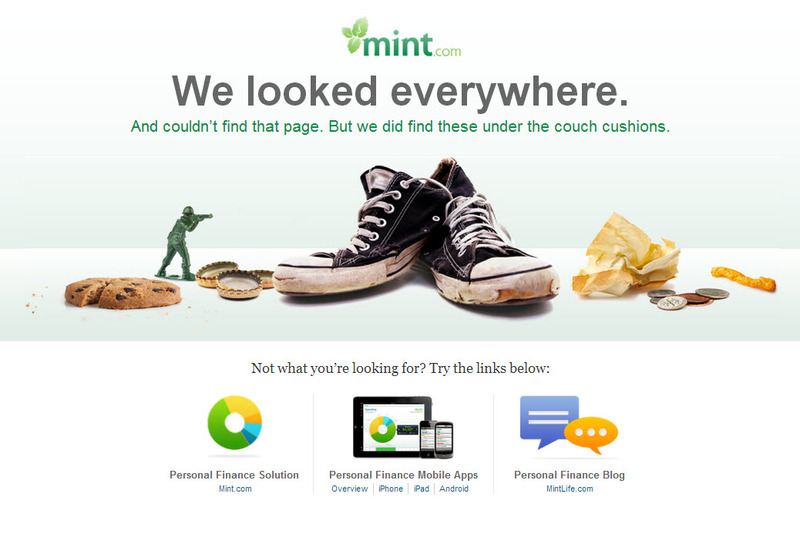 Home» Tutorials » Content Strategy » What’s on your 404 Page? In the rush to get a new site online, or to keep your current site up to date, it’s easy to forget little details, such as the 404 Page — the page is what your visitors see when they follow a broken link, type in a bad URL, or otherwise try to open a page that is not on your site. How do you change your 404 page? On some servers, you can change the 404 page by simply saving a file named 404.html at the root level of your site. If that doesn’t work, check with your server administrator or web hosting company to find out how to change your 404 page. Tech Crunch admits it’s probably their mistake, and makes it easy to go on to search the site or contact them. 404 Page from the Mint, a delightfully funny page from a serious financial site. 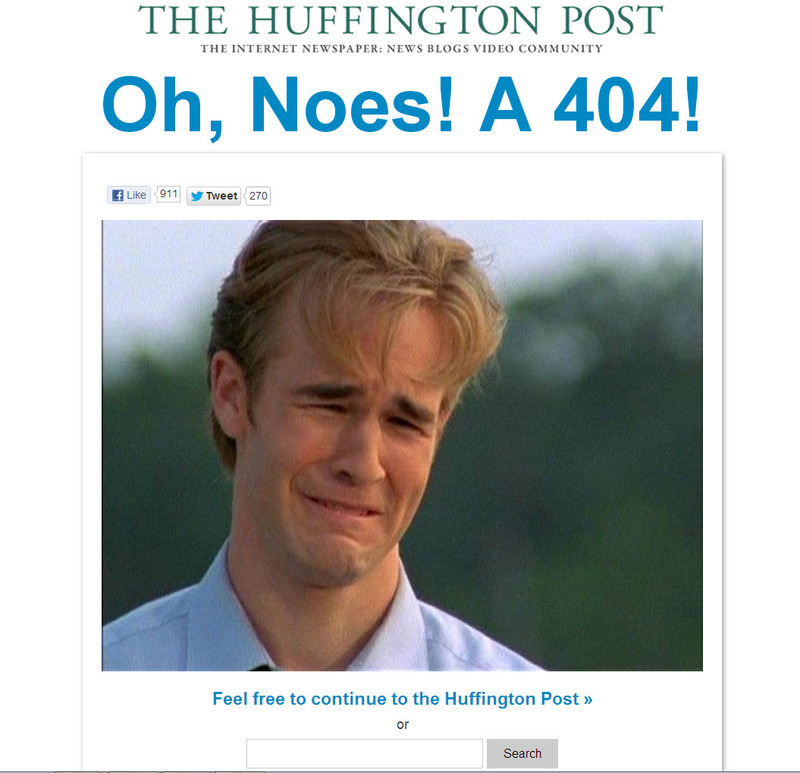 Huffington Post 404 Page is not only funny, the search box and link to the front page are useful. 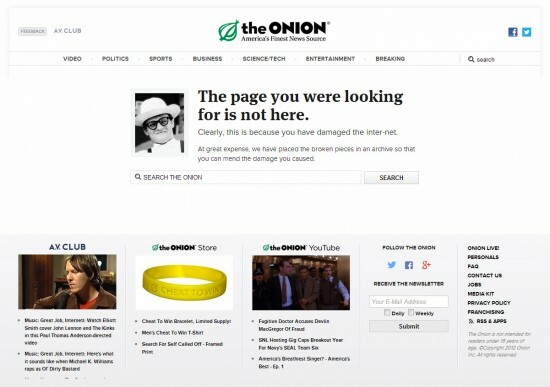 The satirical news site, The Onion, blames you for damaging the “Inter-net” if you land on a broken page. So what’s on your 404 Page? If you haven’t checked lately, just type your URL followed by a little gibberish, and you’ll see what others see when they follow a bad link on your site. As you can see from these customized designs, the best 404 pages combine a sense of humor with a helpful link, search field, or other guidance. Oh that’s a great one, thanks for sharing Michele. I found the same file but without the password at keygenpen.